As a tax-paying citizen of this country, with an interest in all things finance, I’m honestly a little appalled by the current state of affairs, and your somewhat ‘partial’ view on certain institutions vis-à-vis some others. You’ve taken some stringent on certain institutions like Bandhan Bank, YES Bank, Axis Bank, while there seems to be an eerie silence on some visible transgressions by the likes of Kotak for instance. Or even PSU banks for that matter. Glaring compliance and corporate governance issues about several PSU banks have surfaced over the past 12-18 month, but I’m yet to see any action, investigation, or even enquiry against the management of those PSU banks. A fairly glaring issue is your generosity toward the promoters of Kotak Mahindra Bank, by allowing Mr. Uday Kotak to retain a promoter shareholding greater than prescribed RBI levels, despite multiple notices and directions on the same issue. What is even more unusual is the repeated accommodation by RBI allowing KMBL’s promoters to retain their stake at almost 30% level till March 30, 2018 and 15% by March 2020, something which is very much against RBI’s own policy. In contrast, Mr. Uday Kotak holds 29.75% shareholding in the share capital of the bank vs 15% permitted to all other promoters of private sector banks. What does it mean for Mr. Uday Kotak you ask? 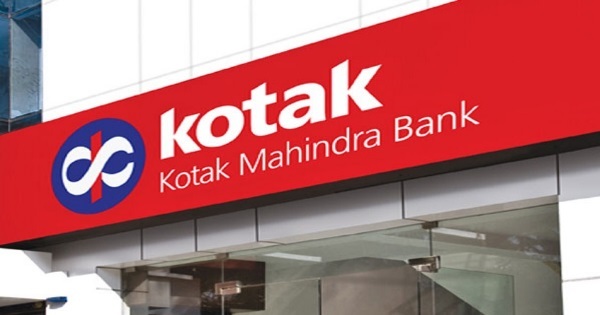 The estimated gains to promoters of Kotak Bank as on June 2018 by not reducing the promoter share holding to 15% is to the tune of about ~Rs.15,000 Cr. as on 30 June 2018. The Kotak Bank board has also tried to wriggle their way out your directive by issuing Rs. 500 Cr of preference shares which would be included in the paid-up capital of the bank, which supposedly reduces the promoter shareholding to 19.70% of paid-up capital; however, as per RBI definition, paid-up capital implies only equity capital and not preference shares. And this eventually led to your decision that the issuance of PNPCS did not meet the requirement for reducing the promoter-holding. It is difficult to believe that an accomplished board as that of a premier institution like Kotak Mahindra Bank failed to comprehend the meaning of PNPCS, and believe that it would meet RBI requirements! There has been speculation in the business media that this generous stance towards Kotak is owing to the great rapport shared by RBI Governors with Mr. Uday Kotak; both the current governor Dr. Urjit Patel as well as the previous governor, Dr. Raghuram Rajan, who both delivered the Kotak Family Lectures at the prestigious Columbia University. It may not tantamount to differential/preferential treatment by a regulator towards the promoters of a public sector bank. Or could it? As a citizen of this country, I place enormous faith in the regulator, and it would indeed be a sad day to discover that the same is misplaced. As a customer who entrusts his money with banking institutions, the need for compliance and governance is of the highest importance for me as well. Trust you will see the faith that the 1.3 billion citizens of this country place in you, and do the just and fair thing. For all banks.